limestone crevices in Dazhuyuan, Wuchuan County. According to a report in the American Journal of Botany (August, 2012) extant Ginkgo populations in the valley and lower mountain slopes of the Dalou Mountains (SW China) represent fragments of the original natural Ginkgo range. The area is a glacial refugium for these natural fragments. The composition of these forests finds that the same plants are still growing with ginkgo as found in the fossil record. The trees in this study sites are limestone outcrops near creeks and are subject to frequent natural disturbances. Ratio female/male adult trees is 3 to 2. Estimated ages for many of the trees show that Ginkgo was present in this area prior to human settlement. Existing genetic studies agree with the study results. In this rocky inhospitable areas there have been no human settlements during the Ming dynasty (1368-1644). 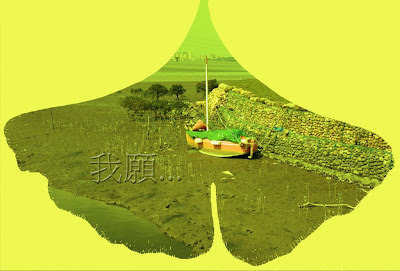 Han people began to appear in 1664. 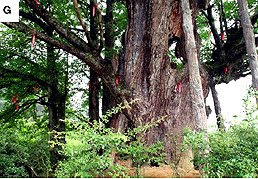 They have strict traditional taboo against either planting or logging Ginkgo trees as had the Gelao people indigenous to the area. They believe that having forests near their farmhouses is good feng shui so they have not cut down the Ginkgo trees. 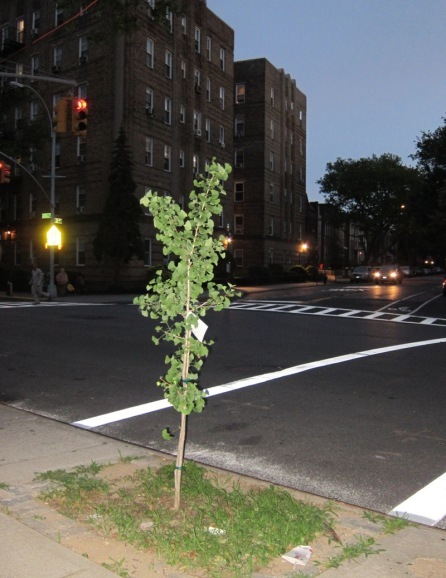 A factor in the survival of the ancient Ginkgo forests must have been the belief in feng shui. 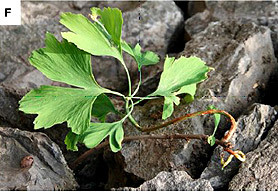 Read more: Cindy Q. Tang et al., Institute of Ecology and Geobotany, Yunnan University, Kunming 650091, China: Evidence for the persistence of wild Ginkgo biloba (Ginkgoaceae) populations in the Dalou Mountains, southwestern China, Am. J. Bot. August 2012 99:1408-1414. doi:10.3732/ajb.1200168. More info and photos on my website: click here. * Added on my Literature-page: book by Yiyun Li. * Added on my Fossils-page: video about the history of ginkgo. *New topic: A Modern Insect Pollinator from the Dinosaurs Time.